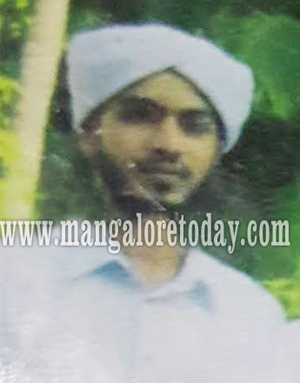 Kasargod, Mar 26, 2017 : The Police who are investigating into the case of murder of Madarasa teacher Riyaz Maulvi suspect that two of the three accused arrested are RSS activists. According to sources the arrested namely Ajesh (20) and Akhilesh (25) of Kelugudde are involved with the RSS in the capacity of Mukhya Shikshaks. However, during interrogations the accused have reportedly told the police that they have got nothing to do with the RSS. Even BJP District President Srikanth has said that the party or Parivar organisations have got nothing to do with the murder. Meanwhile, police have said Ajesh was involved in stoning during the hartal and protest call give by the BJP against murder of a party activist at Kannur some time back. Meanwhile, the photos of accused Ajesh in RSS uniform is also circulated in social media. Along with Ajesh and Akhilesh, police have also arrested Nthin in connection with the murder. Al the three have been produced before the court and remanded to judicial custody. The accused have been lodged in Kanhangad Sub-Jail.